On Saturday, May 31, 2014, CAB’s founding members bassist Bunny Brunel along with guitarist Tony MacAlpine will perform at the Baked Potato in Studio City. After a year of depriving fusion concert goers some of the most dynamic, cutting edge, virtuoso performances, the Grammy-nominated band is back to put on an unforgettable two concerts at 9:30 PM and 11:30 PM. Brunel and MacAlpine will be performing with drummer Sam Aliano, pianist Mitchel Forman, and for the 11:30 PM show saxophonist Doug Webb. CAB was formed in 2000 and is a mix of rock, funk, and jazz. There have been four studio albums and two live albums. 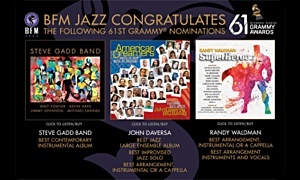 The second album CAB 2 received a Grammy nomination for Best Contemporary Jazz Album in 2002. 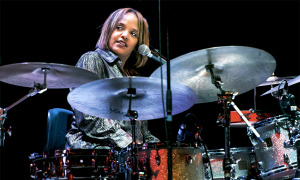 Past members of CAB include Patrice Rushen, Virgil Donati, David Hirshfelder, Dennis Chambers, and Brian Auger. Currently Brunel is mixing his brand new album INVENT YOUR FUTURE with a long list of great musicians. (All of Bunny's friends asked to play on it.) This album will feature Tony MacAlpine, Patrice Rushen, Virgil Donati, Chad Wackerman, Doug Webb, Tom Brechtlein, and more. He spotlights three tunes from Chick Corea. “I used to play live with Chick Corea and I actually sent some rough mixes to Chick and he loved it. He said he really liked the way I did his tunes,” adds Bunny Brunel. Tickets are $25 per each show. Call (818) 980-1615 to purchase tickets. Bunny Brunel is a French-born American bassist who has played with Chick Corea, Dizzy Gillespie, Al Jarreau, Herbie Hancock, Wayne Shorter, Tony Williams, and others. He is a founding member of CAB and is known around the world as one of the four great bassists who started the jazz-fusion movement (along with Stanley Clarke, Jaco Pastorius, and Jeff Berlin). Brunel has published many books on bass techniques, and has headed many bass clinics. He also designed the Carvin Bunny Brunel Basses and the Bunny Brunel Electric Upright Bass. His talents don’t stop there; he has written several television and movie scores, and he received a Grammy nomination for his fusion band CAB. Tony MacAlpine is synonymous with modern musical virtuosity. He is a progressive metal guitarist who was highly influential in the neo-classical metal genre. He has incorporated elements of classical, jazz, fusion, hard rock and heavy metal on both guitar and keyboard. Whether performing as a solo artist, band member, session player, touring hired gun, or as a producer, Tony MacAlpine incorporates classical, jazz and fusion influences into the hard rock/metal genre on both guitar and keyboards. In his 25-year career he has produced, written, and arranged eleven solo instrumental studio albums. 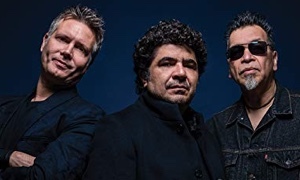 Tony has also released four albums with his jazz-fusion band CAB, three albums with his progressive rock band Planet X, and a number of other band projects. In addition, MacAlpine has contributed both guitar and keyboards to a long list of records by other artists. Tony endorses Ibanez guitars, Hughes & Kettner amplifiers, EMG pickups, Ernie Ball strings, Source Audio pedals, and Toontrack software. Sammy “The Bull” Aliano is an Australian born drummer, who has embedded his unique footprint into the LA music scene. A sought after educator, Aliano has embarked on European and Asian clinic tours, performed at the Montreal and Batuka! Drum Festivals and Australia’s Ultimate Drummer’s Weekend. Sammy’s live and recording credits include Jazz-Improv rockers Gongzilla, Rock Star Supernova’s Lukas Rossi, MR. BIG’s Billy Sheehan, Extreme’s Nuno Bettencourt and legendary ex-Guns N’ Roses guitarist Slash. In 2011, Aliano & fellow co – author Matt Sorum released a book entitled, Double Bass Drumming & Power Fills Workout" - The definitive must-have workout text on double bass drumming grooves and power fills for the modern rock drummer. Mitch Forman is an American jazz and fusion keyboard player. He recorded three solo acoustic piano albums for the Japanese New Wave and Soul Note labels and worked with Stan Getz, Gerry Mulligan, Carla Bley, and Mel Tormé. He made his strongest impression on electric keyboards, playing with the re-formed Mahavishnu Orchestra, Wayne Shorter, and recording for MAGENTA (1985) and NOVUS (1991). Forman performed a successful Bill Evans tribute for NOVUS (1992) with an acoustic trio, but then went back to playing modern fusion on Lipstick" (1993). He also played on Richard Elliot's 1997 album JUMPIN' OFF before releasing HAND MADE in 1998 and Patience with his trio two years later. MR. CLEAN appeared in spring 2001. 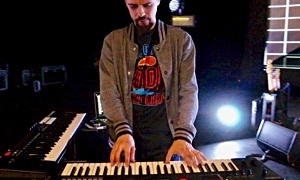 Forman has pointed to a number of legendary jazz pianists as his influences, including Oscar Peterson, Bill Evans, McCoy Tyner, Herbie Hancock, Keith Jarrett, and Chick Corea. 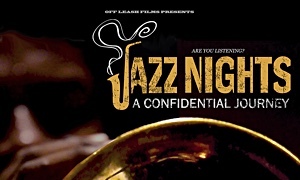 Doug Webb is a saxophonist who has played and recorded with such notable talents as Horace Silver, Freddie Hubbard, Sal Marquez, Stanley Clarke, Quincy Jones, Mat Marucci, Kyle Eastwood, Billy Childs, Rod Stewart, Carly Simon, Art Davis, Kenny Rogers, Bonnie Raitt, Pancho Sanchez and Vikki Carr. He played with the house band for the DENNIS MILLER TV show, the Jimmy Cleveland orchestra and continues to tour with the Doc Severinsen Big Band. He has recorded music for hundreds of movies and television programs. He solos on the sound track for Mystic River and Million Dollar Baby. Webb has been featured on hundreds of recordings.